Dharamsala, India -- Both Tibetans and the Chinese government recognise Trinley Thaye Dorje, 17th Karmapa. He occupies the third highest post in Tibetan Buddhism after the Dalai and the Panchen Lama. He lives under Indian “protection”. A two-day celebration will be in Bodh Gaya, India, starting this Wednesday. “The 17th Karmapa is the oldest and the most revered reincarnate lineage in Tibetan Buddhism,” Samdhong Rinpoche told AsiaNews. The Kalon Tripa or prime minister of the Tibetan government-in-exile spoke a few days before the 900th anniversary of the Karmapa, the third highest spiritual office in Tibetan Buddhism after the Dalai Lama and the Panchen Lama. The current incarnation has lived in India since 2000, free from Chinese control. 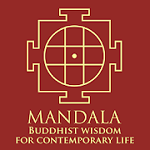 He is viewed as the “natural” successor to the Dalai Lama. Born in 1983, the current Karmapa Lama (Trinley Thaye Dorje) fled from Tsurphu Temple in central Tibet and after an overland winter trek across the Himalayas, he reached India where he was given asylum. He has lived in Dharamsala since he went into exile. He is free to travel but requires official permission to receive visitors. For Rinpoche, 900 years “of Karma tradition are significant because it is an occasion to strengthen and reinforce the Tibetan religious and cultural identity”. Here is the interview Samdhong Rinpoche gave AsiaNews. Why is the Indian Government keeping the Karmapa under such stringent restrictions? He was allowed to leave India only once, in 2008 when permission was finally given for him to visit the US. The Indian Government is providing security and protection to the Karmapa, especially because since he was eight-year-old when he became the first reincarnation to be recognised by both the Dalai Lama and the Chinese government. Importantly, in the absence of the Dalai Lama and the Panchen Lama, China wants to make use of him for their own purposes. Thus, the Indian government is kindly protecting him. Why is China afraid of the Karmapa? China considers Buddhist religion and culture as synonymous with the Tibetan identity. Hence, all spiritual activity, growth, and prosperity make Chinese officials unhappy, nervous and afraid especially as he was recognised by the PRC. 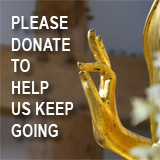 What is the core teaching of the Karmapa? 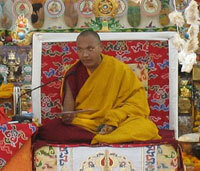 The Karmapa is a disciple of the Dalai Lama and for the past ten years, he has received his teaching. In keeping with his teachings, the Karmapa is promoting care for the environment and spiritual harmony among other teachings. With the rumoured retirement of the Dalai Lama, the Karmapa will take on additional responsibilities. The Dalai may retire from temporal leadership so that the Tibetan government will take care of administrative governance. This will not involve any change in functioning. The first Karmapa appeared 900 years ago. What is the most important aspect of this celebration? Nine hundred years of Karma tradition are significant because this is an occasion to strengthen and reinforce the Tibetan religious and cultural identity in the heart of every Tibetan, anywhere in the world. A two-day ceremony to mark the 900th anniversary of the Karmapa lineage will be held in Bodh Gaya, India, on 8 December.